The last century has seen an average global air temperature rise of nearly 1.4°F (0.8°C), measured at ground level. This may not seem like much, but the world has warmed by only 7°F (4°C) in the 200 centuries since the peak of the last ice age, so this recent rise indicates a sharp upturn in the rate of warming. At the same time, we have enjoyed a technological revolution that has changed our lives, but this has been made possible only by massive consumption of energy. 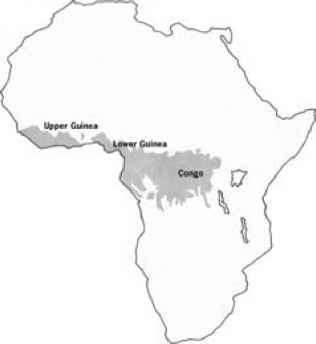 Most of this energy has been generated using fuel that, when burned, releases carbon dioxide. This has increased the concentration of carbon dioxide in the air. The increase closely matches the rise in global air temperature, so it is very likely that accelerated global warming is being caused by our modern, energy-hungry way of life. All over the world, people make daily records of temperature. 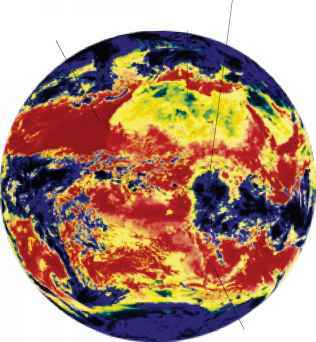 Remote sensors in space can also detect surface temperatures, as shown in this infrared view of Earth at night, which was made by a weather satellite. Local temperatures vary a lot through the year, but when all the information is collated to give an average global temperature, it shows that the world is getting warmer. Scientists can use various techniques to compare current temperatures and rates of change with those of the distant past. 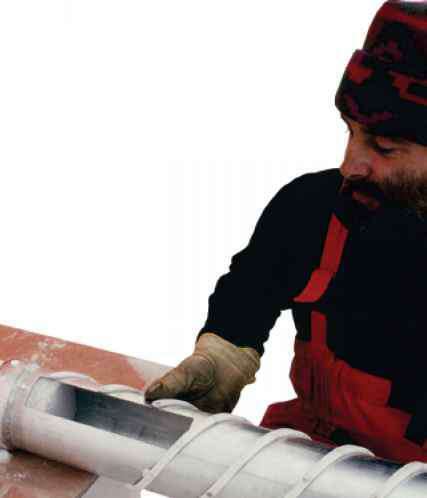 Some of the best evidence comes from ice cores—samples of ice removed from the Greenland and Antarctic ice sheets. 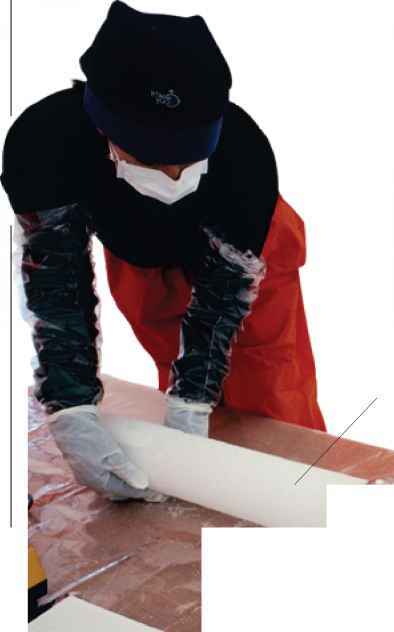 These contain air bubbles trapped over the past 650,000 years. The atomic structure of the oxygen in these bubbles gives a measure of local air temperature over that time, and this may reflect global temperature changes. Every year a living tree adds a layer of new wood to the outside of its trunk. This new layer is thicker in a warm year and thinner in a cold one, forming a pattern of rings that records the sequence of warm and cold years. If one of these tree rings can be dated, the pattern gives a record of local climate for the life of the tree. In some cases this can be thousands of years. 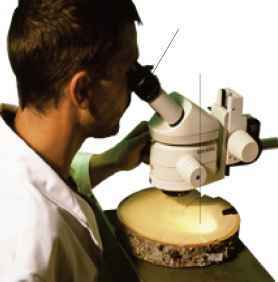 A similar technique is used to study growth rings in the corals that form in tropical seas. Air bubbles trapped in ice cores show that the level of carbon dioxide in the atmosphere in 1700 was roughly 280 parts carbon dioxide per million of air. 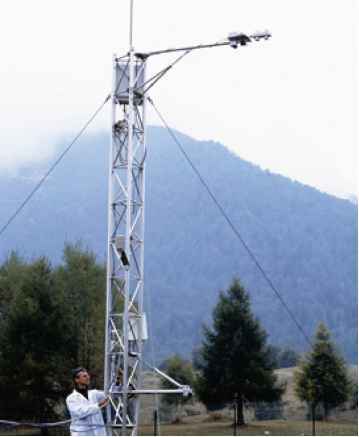 Today, air samples taken by devices attached to the top of towers like this reveal that the level has now increased to 380 parts carbon dioxide. The 100 ppm increase in carbon dioxide in the atmosphere has added significantly to the greenhouse effect that keeps the planet warm, and this is one of the main reasons why global temperatures have risen and are continuing to rise. 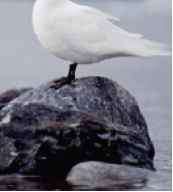 AVERAGES AND EXTREMES While the 1.4°F (0.8°C) temperature rise over one hundred years does not sound very serious, some animals, including this ivory gull, are in decline because of it. The figure is an average of all the temperature changes all over the world. In some places the temperature may not have risen at all. In others, such as in parts of the Arctic where the gull lives, local winter temperatures have risen by up to 7°F (4°C) since the 1950s, and the ice on which this bird finds its food has melted away. Since 1900 the average global temperature has risen, as shown by the blue line on the graph. This cannot be due to natural causes alone, because if they are modeled by computers, the resulting temperature, (in green) does not rise in the same way. 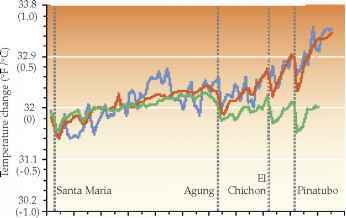 When human influences are added, the computer gives the temperature shown by the orange line. The close match shows that human factors such as the release of greenhouse gases are the main reason for global warming.